If you represent an EAZA member institution, or another seriously interested facility, you can use the form on the campaign website to register your institution as an official campaign participant. When your register your pro-active participation, on behalf of your institution, is expected. All participants are provided with a password to access campaign materials via the campaign website. Non EAZA facilities that will register, will be verified with the Campaign core group, and after acceptance also be provided with a password to access the campaign materials. 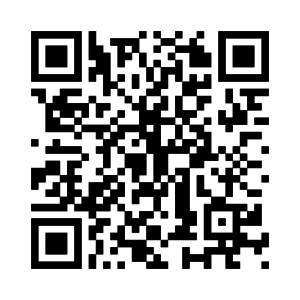 Scan the QR code and get your Campaign InfoCard with updated information. For scanning the QR code and downloading the infocard use your mobile wallet on iOS or click on the QR Code to get the Pass2U application on Android. Participating institutions are expected to, as a minimum, organise activities and/or display information panels that raise awareness of the campaign issues for your visitors. We hope all participants will aim to raise money for the Silent Forest Conservation Campaign by pledging to raise at least €2,000 over the two years, but are challenged to pledge more ofcourse. As usual with EAZA conservation campaigns, certificates will be awarded to institutions that reach particular fundraising goals. Current commitments, as long as they are they are officially entered in the EAZA Conservation Database http://www.eazaconservation.org/ and earmarked with Silent Forest (in the title or project information) will also be rewarded.